The UK may be welcoming in a new era of Poker, thanks to TonyBet and the Point of Consumption Tax. This will help bring in the highly popular poker sites, which will also come with sports betting. Owner and founder of TonyBet, Tony G, had been striving to get regulated in the UK since 2009. This was a ray of sunshine, as they will start rolling out their products, such as their poker games through the TonyBet Poker site. They will be using the highly used open-face Chinese system. The site, which launched a year ago, TonyBet will be celebrating not only their anniversary, but also this great win in the UK. It will done by hosting a major live-event in Prague, with their very first OFC Poker World Championship. Hopefully this will be a big step towards regulating online poker throughout the rest of Europe, as well as improving the chances of getting legalized and regulated in the USA. 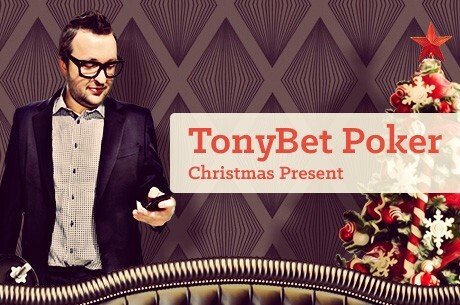 It will certainly be a good Christmas for Tony G.